Park Van Ness apartments in Washington DC combine the convenience of an urban location with lush parkland scenery to create a living experience unlike anything you’ve ever experienced. 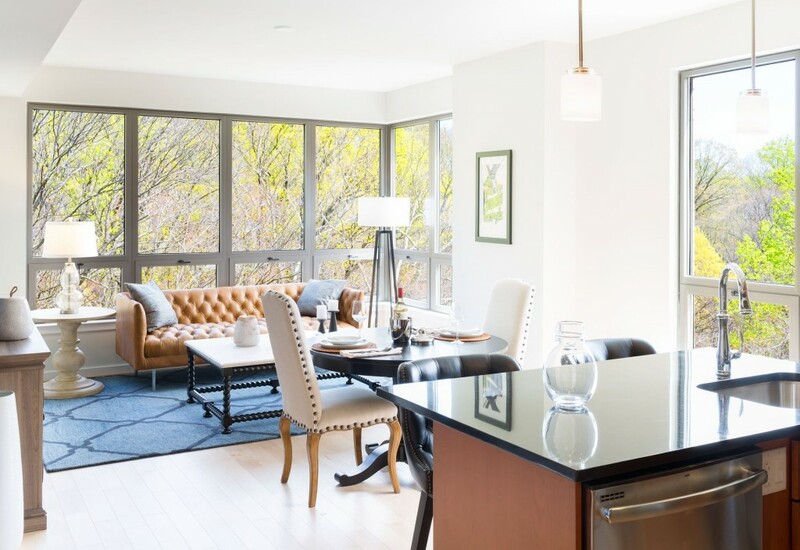 Located on Connecticut Avenue NW right next to Rock Creek National Park, our apartment community offers 1-, 2- and 3-bedroom apartment homes with modern kitchens, spacious living and dining areas, chic bathrooms, and walk-in closets. Inside every apartment, you can expect plenty of upscale features, including black granite countertops, custom backsplashes, Carrara marble and maple wood flooring, and stainless steel appliances. Chef’s islands, private rooftop terraces with park views, and floor plans with direct access to our garage are also available. Park Van Ness residents can enjoy a suite of amenities designed to help you live your best life. Lounge in our exclusive club room or work up a sweat in our fitness center with a private yoga and stretching studio. Cook a delicious meal for two in our rooftop kitchen or spend a day with friends at our rooftop pool and sundeck. Shop at Soapstone market or have a drink at Sfoglina restaurant, both conveniently located on our first floor. And enjoy an easy workday commute thanks to our convenient location just two blocks from the Van Ness-UDC Metro. You deserve the most fabulous home possible. So do yourself a favor and check out Park Van Ness apartments in Washington DC. View our floor plans, look at a complete list of our amenities, and browse our photo gallery. If you like what you see —and we think you will— contact us to schedule a tour. Our knowledgeable lasing team is more than happy to show you around our community, discuss pricing and availability, and answer any questions you have.